St. Margaret Catholic Church was built in 1910 with a basilican plan; entry door at one end and a raised platform at the opposite end of the sanctuary. Througout the years, small alterations have been done, the largest an addition added to the west end of the church. A new larger additon to the sanctuary have replaced the aging addition. 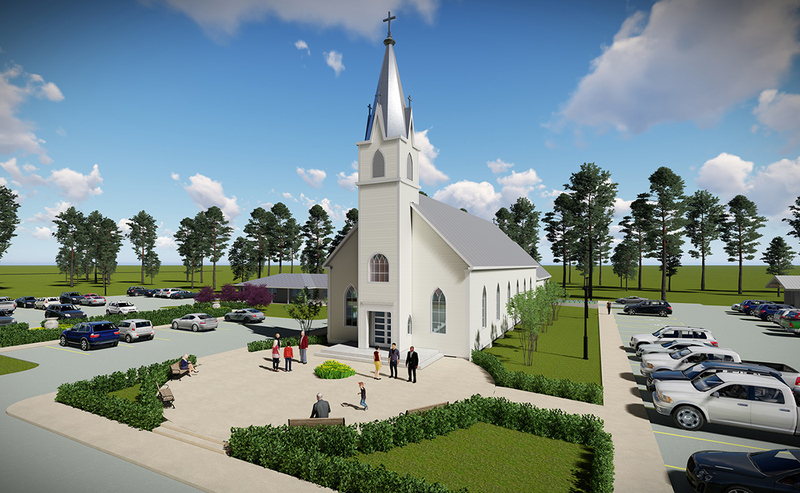 Care have been taken in the design and the construction process to work with the existing church structure for the addition, new lights and mechanical systems to be integrated in order to create a more functional space while retaining the identity of the original 100+ year building.